Mr. Trump, Don’t Question my Patriotism! The night before I became an American citizen I could not sleep. I was excited. I couldn’t believe I was about to be safe — once and for all — from the threat of Chinese repression. I was eager to swear an oath to defend the nation that protected my individual freedom and dignity. When morning came, I went to the courthouse two hours early. Even after the birth of my son in June, I still consider it the best day of my life. It was the day I became a free man, an American. Where I grew up, violent repression and discrimination were a way of life. I am a Uyghur, an ethnic minority in China. We are Turkic Muslims with an eclectic cosmopolitan culture that developed on the Silk Road. The Chinese, ruling our homeland since 1949, have never trusted our people. Like Tibetans, we are marginalized, stigmatized, and more than occasionally brutalized. Innocents are regularly tortured, slaughtered, arrested, sometimes for crimes as banal as reciting ancient poetry or speaking our language. No one under 18 can practice our religion, even in the confines of our homes. Thank God most of my fellow Americans have never known what it means to live without the protections of our constitution. I am forever grateful and loyal to the U.S. for my rights and the opportunities the nation has given me. Yet I am worried and sad. Donald Trump’s exclusionary policy has disturbing implications not only for patriotic Muslim-American citizens, but also for our constitution. It is personal because I am one of those Americans that Mr. Trump wants to portray as unpatriotic. The things Trump says about “the Muslims” are the same things the Chinese said about us. He mentioned forced registration a few months ago, banning Muslim visitors, creating religious tests. The rhetoric shifts back and forth as the political necessities of the day change. And maybe I’ll be exempt because I’m the Muslim equivalent of a “Christmas and Easter Christian.” All of it is from the same strain of fear and hate that our founding fathers warned about in the federalist papers. Attacks against Muslims and immigrants in general — event rhetorically — an attack on upon our entire system and liberal democracy. Occasionally, throughout American history, we have seen virulent strains of hate and violence against immigrants like the Irish or Italians. They used to talk about Catholicism the way they talk about Islam. But today is different. Back then; the merchants of hate never had Twitter, or years of practice on reality TV to polish their image. The America I know and revere treats people with dignity and respect regardless of an individual’s race, ethnicity, religion, gender or country of origin. America has given me the freedom to speak out against China’s human rights abuses, and the opportunity to become a lawyer. So much I feel compelled to advocate the values of our country. Perhaps, as a friend of mine says, this combination of indignation and entitlement is what shows just how American I have become? But as a new father, I am keenly aware of the importance to show my son the importance of what our founding fathers bestowed upon us. The strength of our great nation stems from the collage of immigrants who came to work and thrive in America, but the fiber that binds us together has always been the ideal that all men are created equal, and are equal under the law. In law school, I learned these ideals were not always put into practice, but more importantly, I learned that we have always been striving for a more perfect union. Will we still strive under Trump? My story is by no means unique. There are a couple thousand Uyghurs in the U.S., but also many other immigrants who have come from countries that violated their human rights. We came to the U.S. to flee oppression, but we work hard to gain an education, raise decent families and contribute our knowledge to society. Through hard work, we have become contributing members of the American society. And we understand the debt we owe to America. Many Muslim sons and daughters have joined the military to fight for our nation’s pluralistic values and freedom. We have taken an oath to defend the constitution, and we take it seriously. During World War II, Japanese-Americans and German-Americans were accused of treason, but their sons still served. As a result, the U.S. had a tremendous advantage: keen insight into our enemies’ culture and language that our enemies did not possess. As we fight terrorism, our Muslim soldiers and civilians give us this same advantage. Therefore, my question to Mr. Trump is this: are these the kind of people you wish to exclude from the United States through your proposed “extreme vetting” process? By doubting the loyalty of Muslim-Americans, Mr. Trump ignores our contribution to our homeland. Excluding other Muslim immigrants may score political points, but it is national security that loses. Elections sometimes define who we are as a people — and this we can all agree is one of those times. I hope I’ll be able to tell my son when he is older about a man who tried to whip up fear and hate against immigrants but failed. And I’ll say that the man failed because we as a nation realized his hate was against our values and our constitution. Nury Turkel is an attorney in Washington, D.C.
Ankara's concern for the Uighurs has set an example for other democracies. Turkish Prime Minister Recep Tayyip Erdogan's visit to China last week was bound to be notable, since this was the first visit by a Turkish head of government in 27 years. It was particularly high profile, however, because his first stop was Urumqi, capital of the restive Xinjiang Uighur Autonomous Region that Uighurs call East Turkistan. The Turkic people of that region greeted Mr. Erdogan like a rock star, and little wonder. While trade and investment, renewable energy, Syria and a nuclear summit with Iran were high on the agenda, showing support and sympathy for the Uighur people appeared to be equally important to the prime minister. They rarely enjoy such vocal support from foreign leaders. Mr. Erdogan and Foreign Minister Ahmet Davutoglu made a point of embracing Uighurs like long-lost brothers. The delegation of 300 visited a market and a mosque, and even though Beijing reportedly tried to keep Mr. Edrogan's schedule under wraps, Uighurs lined up in the streets to catch a glimpse. Turkish commentator Fatih Altayli said he had never seen this level of love and affection for the prime minister in any other ethnically Turkic country. The outpouring of affection stems from the fact that Uighurs have historical, linguistic and cultural ties to the people of Turkey, and enjoy strong support from Turkey's ruling and opposition parties, as well as the Turkish public. Mr. Erdogan harshly criticized China for its brutal handling of unrest in Urumqi in 2009, likening the events of July 5 that year to a genocide and urging Beijing to address Uighurs' legitimate demands for human rights. Such pressure appears to be producing progress. Turkey has been able to reach agreements with Beijing on a number of Uighur-related issues, including the establishment of a "trade zone" in Urumqi, the restoration of the tomb of the 11th century Turkic scholar Mahmut Kasghari and the sponsorship of Uighur religious scholars studies in Turkey. These are modest but significant steps that benefit all parties. This makes Turkey a case study in how to successfully press Beijing for progress on rights issues. What is the secret of Ankara's success? In some ways, Ankara's pro-Uighur efforts have benefited from broader trends. Beijing recognizes both Turkey's influence in the Muslim world and China's own increased strategic and economic interests in Islamic countries. Thus, while Mr. Erdogan's statements and Turkey's stance on the Uighur issue have inevitably complicated Sino-Turkish relations, Beijing can't afford to cut off dialogue with Ankara, and is even willing to tolerate visits by Turkish officials to Xinjiang as the price of summits in Beijing. But that advantage wouldn't automatically translate into influence for Ankara, and Mr. Erdogan deserves credit for playing his hand well. Turkey's stance has been both coherent and clear: Uighurs should act as a bridge in Turkey's relationship with China. The protection of their economic, social and cultural rights is important to Turkey's interests. Ankara has repeatedly conveyed this message to Beijing. Now the challenge is for Ankara to find ways to expand on its successes to date. One useful step would be to appoint a special envoy to monitor Uighur human rights while continuing dialogue with China on the existing and proposed policy initiatives that were intended to improve Uighur socio-economic conditions. This way Ankara can guard against backsliding by Beijing on its commitments. Unfortunately, so far Turkey has been the only Turkic country pursuing such an agenda to support the Uighurs. Through the Shanghai Cooperation Organization, Beijing has successfully discouraged Central Asian governments from helping the Uighurs to achieve the political and cultural rights guaranteed under China's own laws. China has even managed to export its repression, encouraging its neighbors to deny refuge to Uighurs and to restrict the rights of their own Uighur populations. To counteract this trend—a result of China leveraging its investments and military influence—Turkey should focus on reshaping Central Asian states' Uighur policies. Turkey could seek full membership or observer status in the SCO, which would give Ankara a voice in decision-making on cross-border Uighur issues. Ankara should also use its close relationship with presidents of Kazakhstan and Kyrgyzstan to encourage greater independence from Beijing. While these governments face intense pressure from Beijing, those states may be more active if they see a long-term commitment from Ankara and safety in numbers. Ankara can also lead in rallying democracies further afield to press for improvements in Xinjiang. As a longstanding ally of the U.S. and a neighbor of Europe, Turkey is uniquely well-situated to do this. An an initial step, Foreign Minister Davutoglu should organize a "friends of Uighurs" conference with democratic allies—similar to the ones organized for Libya and Syria—discussing Ankara's vision and policy objectives with respect to the Uighur people in China. The key is to keep up the pressure, despite Beijing's predictable irritation. Mr. Erdogan's visit demonstrates that it is possible to do business with China while addressing Uighur demands for cultural rights, political freedoms and economic equality. Turkey's actions provide a model for other democratic countries on how to approach minority issues in China. Mr. Turkel is an attorney in Washington, D.C. and a former president of the Uighur American Association. When I was growing up, we Uighurs were discriminated against because of our race, of course. But at least back then the Beijing government didn't try to portray us as terrorists. At least the Han Chinese weren't made to believe that we were evil. I went from East Turkistan to China proper for my university education, and nobody made me learn Chinese. We might not have been politically free, but we had some level of religious and cultural choice. And it's not like that now. These days, you have to learn about Uighur history in Chinese. So the way events have unfolded is not surprising – but the scale of it is. The government has a history of brutal crackdowns, but nothing like this: what's happening in Urumqi is at another level. It's horrifying. And one thing has to be made clear: the people who have taken to the streets are not separatists. They are not terrorists. They were carrying a Chinese flag. It takes a lot for a Uighur to carry a Chinese flag, but they knew what the consequences of stepping outside of the legal framework could be. They are law-abiding Chinese citizens demanding justice. And yet they were labelled separatists, and ruthlessly punished. After another protest in 1997, we saw mass arrests, disappearances, torture, draconian prison sentences and executions. My fear is that the same could happen to those locked up after the demonstrations now. And no Chinese lawyer will dare to defend them. In such dire circumstances, Uighurs living abroad are, of course, desperate to contact their friends and relatives at home. But my friends say to me that they don't dare to call or email, because they are scared that they could make their family subject to action from the government, and so they're sitting on their hands. It's terrible to be cut off like that. In the face of such repression, such a limited reaction from the international community is incredibly disappointing. Powerful leaders around the world have assured the Uighurs that they will come to their aid when they make peaceful, legitimate demands – and now that has happened, and all the White House can manage is to call on all parties to restrain themselves. And the European leaders have remained silent. In Iran, where their national security is at stake, Western leaders have jumped at the chance to condemn the actions of a repressive regime; but in China, the value of human rights has been trumped by considerations of national interest. We expected statesmen to speak up, and they have failed us. Meanwhile, the international media, which is sceptical of Chinese claims on every issue from Tibet to Taiwan, takes the government's claims at face value. The truth is that whatever they claim, this crackdown doesn't bring peace and security closer: it pushes them further away. What the Uighurs want is not unreasonable. If the provincial government had done their job and brought to justice the criminals who beat up Uighur workers in a toy factory, none of this would have happened. But there are larger issues at stake. Since I left, life in China for the Uighurs has gotten worse on all fronts. All the things we used to value, like our own language, our religious freedom, have been taken away. But those are the things we draw are identity from. If they are taken away with violence, what else is left? Of course the Uighurs are fed up: they are living in an open prison. In theory, at least, you shouldn't have to be Han Chinese to live freely in China. The Uighurs have the same rights as everyone else. This month my Uighur clients began their eighth year in the Guantanamo Bay prison. Long ago they were cleared by both the military and our courts. They are neither our enemies, nor terrorists, nor criminals. But when press accounts surfaced that they might at long last be released, hysteria came over the Congress, and last week the House passed a bill that would bar their release here. That would amount to a life sentence. They are dissident refugees from Communist China, and cannot be returned because of real fears of torture. In almost five years of trying, no other country will take them. These men won their cases in court, and they were cleared by the military as nondangerous. That didn't matter. On news that they might at last be released, the most astonishing stories began to circulate about the men. That the men were Al Qaeda, for example. (They had never heard of Al Qaeda, and no one even alleged that before.) That they were part of something called the "East Turkestan Islamic Movement," a libel the courts rejected more than a year ago. That they were nevertheless dangerous, even though under President George Bush, the Justice Department told a federal judge that they had no evidence of dangerousness, and the military in 2004-05 approved the Uighurs for release to the civilian populations of our allies. That they advocated "Jihadism," "Sharia law," and so on, which was pure fiction, never before alleged, not true, just, as the President once said, "making stuff up." This week Newt Gingrich weighed in, saying these men had "smashed a television" because it depicted "women with bare arms." Another lie. Just a flat-out falsehood, based on air. It never happened. The truth is that five Uighur companions from Afghanistan have lived peacefully among civilian populations in the capitals of Albania and Sweden for three years now. But facts don't seem to matter when demagogues are whipping up hysteria. In a larger sense, the Uighurs are beside the point. What this is really about is whether we Americans are serious when we boast that we care about freedom, or whether we are a small, narrow-chested people, easily panicked by demagogues like Gingrich. There are about 60 men at Gitmo, like the Uighurs, who are neither enemies nor criminals in anyone's estimation. No law justifies their imprisonment. They have been held in a military prison for longer than any real enemy of the country was ever held before. So what are we going to do about them? The other answer is, the hell with them. They stay there forever. And I really do mean forever. The U.S. has pitched the Uighurs to allies for five years now, and China's influence is not exactly shrinking. We don't seriously think that a hysterical smear campaign about jihadism, Sharia law, and ETIM is going to persuade some other country that they are just peachy for its civilian populations, do we? "The hell with them," is what the House bill says. If that's our view, we need to be honest with ourselves about our American values. We are fine with holding people in a prison forever, without any legal basis. That's who the 111th Congress thinks we are. We talk a lot in this country about freedom. But talk is cheap. If we follow the House's actions, then we may care about security, but we don't give a damn about freedom. Willett is a partner at Bingham McCutchen, which represents six Uighur prisoners at Guantanamo Bay. Newt Gingrich needs to read up before he defames my entire ethnic group. Writing in the Washington Examiner last week, former speaker of the U.S. House of Representatives Newt Gingrich warned the Obama administration that a group of 17 Uyghurs, held in Guantánamo Bay since 2002, would be a threat to U.S. national security if transferred to American soil. "[T]hey are trained mass killers instructed by the same terrorists responsible for killing 3,000 Americans on September 11, 2001," he wrote. "They have no place in American communities." These claims are irresponsible and untrue. And the title of his work, "Let's NOT meet the Uyghurs" extends the accusation to all Uyghur people. Uyghurs are not terrorists; nor are they a threat. In fact, Uyghurs could be a natural U.S. ally. Uyghurs are the Tibetans you haven't heard about. Ethnic Turkic people from the Chinese Xinjiang Uyghur Autonomous Region, Uyghurs have long faced discrimination and persecution as a minority -- a fact recognized repeatedly by the U.S. Congress and State Department, which has noted China's insidious strategy of using the U.S. war on terror as pretext to oppress independent religious leaders and peaceful political dissenters. Uyghurs' struggle for self-rule is one against dictatorship and communism, not one to establish a sharia state through violence (as Gingrich claims, in a curious echo of Chinese government propaganda). Nothing about the Uyghur cause involves hostility toward the United States or association with terrorist groups. In the case of the detained Uyghurs, this too has been recognized by the United States. In June 2008, a D.C. Circuit Court unanimously ruled that the U.S. government's designation of Huzaifa Parhat, one of the 17 Uyghurs at Guantánamo, as an enemy combatant was invalid. The U.S. government's case, they concluded, was insufficient, unreliable, and based on attenuated guilt-by-association reasoning. The panel found no evidence that Parhat was a member of the East Turkestan Islamic Movement (ETIM), that ETIM was associated with either al Qaeda or the Taliban, or that ETIM had ever fought against the United States. Supposed proof that detainees had undergone "terrorist training" is dubious at best. The detainees were able to break down and reassemble a single Kalashnikov rifle. To classify this experience as "terrorist training" would require a radical logic leap. Every one of the 17 Uyghur detainees at Guantánamo has repeatedly denied being part of ETIM, or of being sympathizers of al Qaeda or the Taliban. They should remain innocent -- both legally and in public discourse -- unless proven guilty. As the discussion about the fate of these men goes forward, it is not the danger that the Uyghur detainees pose to the United States that is of greatest concern, but the danger China poses to detainees. Were it not for the grave threat of persecution that these men face from the Chinese government, they would have been returned home years ago. In just one example from 2002, a U.S. Department of Justice report cites claims that U.S. agents at Guantánamo collaborated with Chinese counterparts in the rough treatment of Uyghur detainees prior to scheduled interviews with the Chinese agents. Finding a new home for the displaced Uyghurs is the U.S. government's duty. 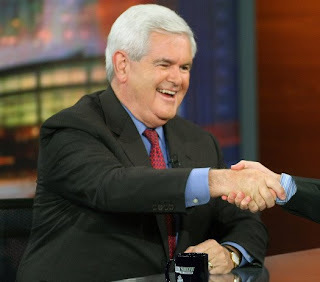 Gingrich finds preposterous the idea of relocating them to a place like, as he put it, "Fairfax Country Virginia, where there is already a sizable (non-terrorist) Uighur community." But why is the idea so preposterous? The Uyghurs are not a threat to U.S. communities. Just look at the five Uyghur companions who were released from Guantánamo in 2006 and have lived peaceably and productively in Europe for three years now. I am a new citizen of the United States, but I know enough about the shining ideals that brought me -- and millions of other immigrants -- here to know that fearmongering rhetoric like Gingrich's is the real threat to America. Nury A. Turkel is a Uyghur-American attorney in Washington. The controversy over the right of habeas corpus for U.S. terror detainees has obscured the fact that the legal process put in place by Congress for settling other detainee appeals has been quietly at work. On Monday, an appeals court hearing one such case found that Huzaifa Parhat, a Uighur from China, was not an "enemy combatant." The court ordered the military to release him, transfer him to another prison or hold a new hearing. Mr. Parhat and the 16 other Uighurs currently detained in Guantánamo have all been cleared for release by the U.S. military. Congress is also supportive. On June 4, Rep. Bill Delahunt (D., MA) and Dana Rohrabacher (R., CA) proposed resettlement for them in the U.S. The two Congressmen have also petitioned Defense Secretary Robert Gates for assistance. Resettling these detainees might not be simple, but after their six years of detention, it is the right thing to do. Uighurs are an ethnic Turkic people who live in China's vast northwest regions. The 17 Guantánamo Uighurs were captured in Afghanistan and Pakistan. Many were snared by bounty hunters and sold to the U.S. military. Some of these Uighurs may admittedly be fighters. But they have no beef with the U.S. or its allies -- their fight is against China. Like Tibetans, Uighurs have endured decades of discrimination and brutal oppression under Chinese rule. A religious and ethnic minority, they are routinely denied basic civil, religious and political rights. Uighurs are -- almost without exception -- the only ethnic group in China to be routinely executed for political offenses. Since 9/11, China has used the U.S.-led "war on terror" as an excuse to oppress Uighurs with impunity, persecuting many who have peacefully protested their treatment. China regularly dubs Uighur historians, poets and writers "intellectual terrorists" and sends them to jail. In 2005, a young intellectual, Nurmemet Yasin, was sentenced to a decade in prison for writing an allegory likening the Uighur predicament to that of a pigeon in a cage. To its credit, the Bush administration has refused China's requests to repatriate the Guantánamo Uighurs, recognizing that such an action would effectively condemn them to prolonged torture, imprisonment or death once they reached China. In 2006, however, the U.S. sent five Uighurs to Albania, without notifying their attorneys. Today, four of them reside there in a kind of permanent limbo, unable to reconstitute their families or to work, while the fifth is seeking asylum in Sweden. Until Communist China recognizes Uighurs' democratic freedoms, U.S. resettlement is a far better solution. Uighurs constitute perhaps the most pro-American and pro-Western Muslims in the world. In the early 20th century, the Uighurs' homeland of East Turkistan was the first secular and democratic republic in the Muslim world, outside of Turkey. The Uighurs want to re-establish this republic, complete with guarantees of religious freedom and peaceful enjoyment of their human rights. Many Uighurs fully agree when America professes the need to end tyranny in the world. They maintain that democracy and respect for human rights is the best defense against terrorism. Americans, the most welcoming of people, certainly have a right to ask why they should welcome the Guantánamo Uighurs. Many probably don't realize that they are already living amongst Uighur-Americans. Uighurs have fled Chinese communist persecution since 1950s. Most of us were granted asylum by the U.S. government and are now contributing members of American society as scientists, professors and doctors, among other professions. Uighurs have one of the highest percentages of asylum approval in the U.S. Opening America's doors to the Uighurs would be a constructive step toward regaining the respect of American allies who have been critical of the Bush administration's detention policies. Remember: Uighurs remain in Guantánamo not for the danger they pose to the U.S., but for the danger China poses to them. According to media accounts, American diplomats have reached out to over 100 countries to seek resettlement for the Uighurs. But these efforts have largely failed. A number of countries have reportedly been threatened with economic and political repercussions by China, should they accept any of the Guantánamo Uighurs. China's reaction to a U.S. resettlement of Uighurs would be fiercely negative. But the U.S. can explain that it is acting in accordance with the rule of law. Further, none have been judged to a threat to the U.S. If the U.S. resettled the 17 Guantánamo Uighurs, the over 10 million Uighurs inside China would learn of this decision via America's Radio Free Asia broadcasts -- as they have learned of so many others of American efforts to promote human rights inside China. They would understand that American society will not assist China in crushing the Uighurs and their secular democratic aspirations. Mr. Turkel is a lawyer and former president of the Uyghur American Association. Good Afternoon, Chairman Delahunt, and members of the subcommittee. Thank you for holding this hearing. I am a lawyer from Boston. At Bingham McCutchen LLP, most of our clients are America's corporate mainstream: banks, bondholders and businesses. But we also represent Uighur prisoners at Guantanamo. I do this work for a simple reason. When I go to see my clients in the Guantanamo prison, I have to walk beneath my flag. I'm not happy about it being there. I want it back. This subcommittee has already heard about the Uighur dissidents from Communist China who were caught up in the so-called War on Terror. This Spring you read reports from China's state news agency describing Tibetan monks as "terrorists." That is the word the Communists have used for the Uighurs too. Ever since 9/11. One of my clients is Huzaifa Parhat. He's never been charged with anything. He never will be. In fact, he's been cleared for release for years. Two weeks ago he began his seventh year at Guantanamo. He believes in freedom of worship and denounces state-enforced abortion. He doesn't care for communism. In China, beliefs like Huzaifa's are called "intellectual terrorism." Uighurs are regularly tortured for it. Some are put to death. I can remember when we Americans admired people who stood up for such beliefs in the face of tyranny. Now we offer them -- what do they call it? -- a "single occupancy" cell in Camp Six. Interrogators advised in 2003 that his capture was a mistake. State has been trying to find a country to which to send him. But our allies read the same shrill rhetoric about Guantanamo that you have read. And the shadow of the communists falls over all the capitals of Europe. Nobody else wants Huzaifa. I used to think of us Americans, Mr. Chairman, as broad-shouldered, able to admit mistakes and put them right, but my government thinks we are a small people, so panicked by real enemies that we lock up imaginary ones. Forever. When did we become such a small people? Huzaifa lives in a place called Camp Six. My information, which dates from March, is that all the Uighurs but one are kept there. The men call it the dungeon above the ground. Each lives alone in an isolation cell. There is no natural light or air. There is no way to tell whether it is day or night. Outside the cell is a noisy bedlam of banging doors and the indistinct shouts of desperate men crouching at door cracks. A mad-house. Inside the cell, nothing. Mr. Chairman, can you remember the last time you were alone -- I mean really alone? Nothing to read, no phone, music, computer, television, radio, activity; no companion, no one to talk to. That's been Huzaifa's life for most of the time since December, 2006. For two hours in twenty four, the MPs shackle and lead Huzaifa to the rec area. This is a two-story chimney, about four meters square. It is his only chance to talk to another human being, or see the sun. But his rec time might be night; it might be after midnight. Weeks go by during which he never sees the sun at all. Mr. Chairman, you try talking to a man who only wants to see the sun. You will never forget the experience. In the cell he can crouch at the door, and yell through the crack at the bottom. The fellow in the next cell may respond, or he might be curled in the fetal position, staring at the wall. Another Uighur told us of the voices in his head. The voices were getting the better of him. His foot was tapping on the floor. I don't know what's happened to him: he doesn't come out of the cell to see us any more. A letter from a third was released last December. He wondered, did someone need to commit suicide before anyone notices? A friend has a client who used to be thought of by the command as a model prisoner, well grounded, level headed. Now he has lost hope; he has lost control; he seethes with anger. His mind is wrecked by isolation. Huzaifa believes he will die in Guantanamo. Last year he asked us to pass a message to his wife that she should remarry. The Uighurs are not the enemy. Under Article I of our Constitution, Mr. Chairman, you in Congress, and you in Congress alone, have the power to name the enemy. The President is the chief general and admiral, but you are the "deciders." It is your job to say who the enemy is; his to snap a salute. And you never declared war on the Uighurs. Nor on "terror," for that matter. But suppose, for a moment, that the Uighurs were the enemy. Would you leave them in Camp Six? In a prison? In isolation? Not if you've read the service Field Manuals. Not if you were Generals Ridgway, Westmoreland, Schwartzkopf or Powell, you wouldn't. Yet this afternoon in Camp Six, we Americans are applying the same isolation techniques that North Korea used on our own airmen in 1952. The cells are shinier, and the paint fresher, but the cruel destruction of the human soul is the same. In 1952, our ambassador went to the General Assembly of the United Nations to denounce this kind of thing as barbaric. How quaint of him. The worst prison in America, holding the absolute worst, convicted, violent criminals, does not treat them this way. Even the Unabomber has more human contact. Perhaps the camp commandant would say Huzaifa has misbehaved in some way. The command hasn't told me. In the grinding, endless heat of Guantanamo, tensions simmer. MPs wanting any post but GTMO -- guards who were twelve years old when Huzaifa was brought there -- handle, or mishandle a Koran, or gawk at a prisoner on the toilet, who, caged like an animal, behaves like one. Or someone thinks so. After six years, it hardly matters. The tensions boil over. Have the Uighurs boiled over, in their seventh year? Five years after being told they were innocent and would be released? Would I boil over? Would you? In the service Field Manuals you will find provisions for disciplining those who disobey camp rules. The maximum period for solitary is two weeks. I'd like to tell you about another detainee during wartime. In 1944, he was held at Fort Mackay, near where I go to work in Boston. He had served a Fascist tyrant in league with the most dangerous madman in this history of Europe; he had shot to kill Americans during a desperate world war we feared might change our civilization forever. Still, the commandant did not throw the Italian prisoner away in a camp six. He lived communally. When hostilities with Italy ended in 1944, he couldn't be repatriated -- Italy was still in flames -- so we Americans did the next best thing. Leave was given to visit the North End. He went to Mass. He played bocci along the Esplanade. He was given a job, and earned pay. At Carson's beach, girls passed him notes through the fence. There were no proposals of torture, and not a few of marriage. Do Uighurs in 2008 frighten us more than the Axis forces frightened Navy Captain Errol Willett in 1944, or are we just a smaller people than our grandparents were? When Congress stripped the Uighurs' habeas rights in 2005, my clients filed under the new Detainee Treatment Act. I know something about that Act, having litigated one of the lead cases. It is a train wreck. It took us a year and three rounds of briefing just to establish what the record is, and the government has filed another appeal. So we are nowhere. Another DTA case, Paracha, is two and a half years old. The courts haven't done a thing with it. One court waits for a second to decide the habeas appeal; the government runs to the second to say, let's wait and see how the first court plays out the DTA. The Uighurs -- those who will still see me -- nod politely when I tell them about the courts. But they long ago concluded that American courts are merely a debating society. Nothing ever comes of them. A sign at Guantanamo says, "Honor Bound to Defend Freedom." It would take a better advocate than me to persuade the Uighurs we Americans are serious about that. Mr. Chairman, what will you do about Guantanamo? You have fifty or sixty stateless people there cleared for release. That is, for freedom. Are we Americans honor bound to defend that value, or are we just talking? The rest of the world won't take them unless we take some too. Will you make that happen? Even Mr. Casey has acknowledged that after six years, some should be paroled to the United States. The Uighurs are one place to start. That will take some gumption. The administration's propaganda is effective, and most of your constituents think that anyone at Guantanamo must be a terrorist. But our flag asks a little gumption of us sometimes. Generally where the Congress shows the courage of leadership, the people come around. This seems like the right time for it. Because outside, the world is turning. My client's wife has remarried. Inside the wire, nothing every changes. Huzaifa Parhat has been a prisoner at Guantanamo from the attack on the Arizona at Pearl Harbor, straight through to the signing of the surrender aboard the U.S.S. Missouri in Tokyo Bay, and almost back again. He's in his cell in Camp Six this afternoon. In 2000, five men left their homes in northern China to escape the prospect of torture and imprisonment. They dreamed of a future in the United States. Caught up in America's war on terror along the way, they instead ended up in Guantanamo. It's been six years since they last saw their families. They sit on their beds in a barracks on the outskirts of the city, waiting. The door is ajar, revealing a cloudless late spring day in Tirana, Albania, where it promises to be a hot day. None of the five men says a word. They've been waiting -- not just the entire morning, not just the entire day before, but the past five years -- for some country, any country, to agree to grant them political asylum. They want to move on with their lives. Through the window they see a white United Nations High Commission for Refugees (UNHCR) Toyota pull into the courtyard. German Chancellor Angela Merkel is visiting China today, where she'll meet with President Hu Jintao. They'll be discussing human rights, or so they say. Every politician who visits China these days is supposedly there to talk about human rights. But true or not, the news represents a shred of hope for the five men. They're wearing short-sleeved shirts and brand-new sneakers. Abu Bakker Qassim, the oldest, has taken on the role of the group's leader. Adel Abdulhehim has three children back home in China. Akhdar Qasem Basit rarely speaks. Ahmed Adil was so frustrated with the endless wait that he finally wrote a letter to US Secretary of State Condoleezza Rice. Ayub Haji Mohammed, the youngest, left his parents' home at 18 to study in the United States. They look as if this weren't the first time they had dressed up in anticipation of finally beginning their new lives. The men are Uighurs, members of a Turkic minority in China's far northwest Xinjiang Uygur region bordering Mongolia. The Uighurs dream of having their own country one day, East Turkestan. In the eyes of the Chinese government, that makes them potential terrorists. The five men left their home six years ago, hoping to escape repression at the hands of Chinese authorities, hoping to find a better, freer life abroad. But then came September 11, and the men became entangled in the machinery of world politics. They were bombed and beaten, betrayed, accused and humiliated. They finally ended up in Guantanamo. The driver of the white Toyota walks toward the office. The five men watch. They share three sleeping rooms and one toilet. The walls are painted a swimming pool green, the windows are barred and bare light bulbs hang from the ceiling. Albania's national refugee camp was once a military barracks. A uniformed guard stands at the door. Human rights activists were still interested in the five Uighurs when they were prisoners of the Americans. But now that they have been released, they are more a practical problem than a moral one. The United States doesn't want them, they can't go back to China, and many other countries -- Germany included -- have refused to grant them asylum. Everyone, it seems, is worried about offending China, a powerful trading partner. Ayub, the youngest, walks to the window, which frames a view of shimmering mountains in the distance. He is thin, wears his black shirt over his belt and sports the beginnings of a traditional Uighur man's black moustache. He points outside. The camp is surrounded by a high wall, topped by rolls of barbed wire glinting in the sun. The men are free, but they remain prisoners -- five young men unlucky enough to be in the wrong place at the wrong time, five men who went to war without knowing it. Abu Bakker Qassim, the eldest, used to think it was all a big misunderstanding. Back in Xinjiang, which he and the others call East Turkestan, he was trained as an upholsterer. After working in a state-owned leather factory, he started his own business. He is a quiet, affable man with large glasses. The inscription on his T-shirt reads "Athletic 76 - Boys of Europe." Abu Bakker says his parents were nationalists, but their nationalism was impotent and silent. They were at odds with Chinese policies and dreamed of independence, but they never dared do anything about it. Until February 1997, that is. That was when the Uighurs took to the streets in Yining, Abu Bakker's home town, demanding social and religious freedom. Abu Bakker, 28 at the time, didn't participate. He had married three years earlier and his new wife had given birth to a son a short time later. At the time, he preferred caution over nationalism. Instead of marching, he witnessed how the police broke up the protests. "They were shooting at children and they used water cannons at temperatures of twenty below zero," he says. "They arrested tens of thousands." At least 10 people were killed and more than 190 injured. For Abu Bakker, husband, father, small businessman, this demonstration was an eye-opening experience. He decided to express his views in the future, even publicly. Like others in Yining, he knew that the Uighurs had their own country once, between 1944 and 1949, and that they only wanted what they believed was rightfully theirs. "Suddenly we began openly criticizing China. We didn't think it was a crime to be an Uighur, to earn money and to work for a better life." Abu Bakker was arrested in 1998, one year after the protests. He was tortured with electroshocks until he was finally willing to confess to practically any accusations. After seven months he was released, but his fears stayed with him. He was afraid for his family and his own life, constantly anticipating an ominous, nighttime knock at the door. He decided to leave China. In January 2000, Abu Bakker went to Kyrgyzstan, where he sold Russian watches, ropes and bags in a local market. His plan was to earn enough money to bring his wife and child to Kyrgyzstan, so that they could continue on to Turkey, where many Uighurs live. And perhaps, he thought, they would move to America one day. The United States is a promised land of sorts for most Uighurs. It has a few Uighur communities, Radio Free Asia is based there and even an Uighur-American Association, founded in Washington in 1998. The US is seen as tolerant, and many Uighurs believe that those who make it there can fight for the Uighur cause without having to risk their lives in China. Abu Bakker met Adel Abdulhehim -- the man with three children back home -- in Kyrgyzstan. Six years younger than Abu Bakker, Adel had already been imprisoned a number of times. His brother-in-law was one of the organizers of the February 1997 demonstration and was later executed. The two men decided to go to Turkey, where they had an Uighur acquaintance who owned a leather goods factory. In mid-2001 they traveled through Tajikistan, then crossed the border into Pakistan. To save money, they decided to travel by bus, which meant they would need a visa for Iran. Because Pakistan often sends Uighur refugees back to China, the two men decided to wait for the visa in neighboring Afghanistan. They had heard about a group of Uighurs who lived in a camp not far from the Afghan city of Jalalabad, just across the border, where they hoped to stay until their visas arrived. There are two opinions about this camp. Abu Bakker and the other men describe it as little more than a collection of run-down huts. But for the US government, it's an al-Qaida camp where Muslim terrorists are trained to do battle against America. The two men met two other Uighurs in the camp, Akhdar Qasem Basit and Ahmed Adil. Ahmed, 26 at the time, had come to Afghanistan via Kazakhstan and Pakistan. He had hoped to earn money for his visa in Pakistan, but life there was more expensive than he had anticipated, and his funds ran out after a year. He wanted to go to Germany or Canada. Like Abu Bakker, Akhdar, 27, comes from Yining. He left when he ran into trouble with Chinese intelligence. A man in the camp had a radio. But to avoid further dampening an already gloomy mood, he only reported good news, which meant that the men didn't find out what had happened in the United States on September 11, 2001. But the man with the radio did tell Adel that al-Qaida had attacked America, and that the US wanted the Taliban to hand over Osama bin Laden, who was allegedly hiding in Afghanistan. The two men were convinced that this conflict had nothing to do with them. They were merely guests in Afghanistan, and America was their ally. But their certainty ended abruptly when American troops bombed the camp in October, forcing them to flee into the mountains. They had almost no food and sought shelter from the cold in caves. Ayub Haji Mohammed, the youngest in the group, had joined them shortly before they left the camp. His father had become modestly affluent with his clothing and textile business. The family planned to send Ayub to school in the United States, where they had distant relatives. But first they sent him to friends in Pakistan, from where he was to travel to the promised land. What the men didn't know was that they were hiding in the mountains of Tora Bora, where the Americans believed bin Laden was also hiding. After persevering for two months, they decided to return to Pakistan, in a grueling, three-day trek across a landscape of snow-capped peaks. They received a warm welcome -- unusually warm, as they later realized -- in a village on Pakistani soil. But when they arrived they were exhausted, hungry and naïve, and gratified that the villagers had even slaughtered a lamb in their honor. After the meal they were taken to the local mosque. They were told that the police were searching the village and that they would be taken -- on Toyota pickup trucks -- to a safe place. "It was a trap, but how were we to know?" says Abu Bakker today, standing with the other men in the courtyard of the Albanian refugee camp. They may be safe now, but they have trouble understanding why every step along the way was a step in the wrong direction. That night they were first taken to a Pakistani police station and then to a Pakistani prison. The Americans had offered a ransom for Muslims suspected of supporting al-Qaida. "We were surprised," says Abu Bakker, "but we were also hopeful. We thought that if we identified ourselves as Chinese Uighurs, the Pakistanis would send us back to China. So we told them we were Uzbeki Afghans, hoping that they would turn us over to the Americans." China, they believed, was their enemy, and America their friend and ally. "We were blindfolded and our hands were tied," says Ahmed. The captured Uighurs were then loaded into buses and taken to Kandahar. "Kandahar was worse than the Chinese prison," says Abu Bakker. "Soldiers in Kandahar beat up Ayub, the youngest in our group. They forced his arms behind his back and beat him on the knees." The men were interrogated, yelled at, beaten and then interrogated again. "Why don't you motherfuckers speak English?" If they answered "yes," the soldiers would shout: "Where did you motherfuckers learn to speak English?" After a week, one of the Uighurs noticed the US flag on a soldier's uniform. "We're in the hands of the Americans!" he told the others, clearly relieved. "We are safe!" They told the American soldiers about the Uighurs' struggle for freedom. "You have the wrong men," they kept telling their captors. "We don't have a problem with you. In fact, we have a common enemy: China." After six months in Kandahar, the five Uighurs -- gagged, bound, blindfolded and hooded -- were taken to the airport, where they were given earplugs and loaded onto a plane. When they landed in Guantanamo in mid-2002, the men were given prisoner numbers 260, 276, 279, 283 and 293. By then they were considered terrorism suspects, but they had no idea why. The men had landed at a US naval base, but it was essentially a no-man's land where foreign citizens were ineligible to file legal complaints in US courts. The closer the men came to the promised land, the more they perceived it slipping beyond their reach. They were neither prisoners-of-war nor criminals, but "enemy combatants." There were no charges, no hearings, no defense attorneys. According to US President George W. Bush, they could be held indefinitely, or for the duration of his "War on Terror." They were repeatedly interrogated. Are you associated with the "Islamic Movement of East Turkestan?" they asked. The Chinese government claims the Uighurs have connections to bin Laden, who it claims supports and directs the Uighurs' struggle for independence. The "Islamic Movement of East Turkestan," say Chinese authorities, is essentially an arm of al-Qaida. To this day, Abu Bakker and the others deny having been members of the group. They are upholsterers, students, small businessmen, but not terrorists, they say. In fact, they believe that the "Islamic Movement of East Turkestan" is a phantom organization, invented and kept alive by the Chinese secret police. Ayub, the youngest, suffered the most at the hands of the Americans. He has a food allergy and had been told to avoid eggs, bread and fish. After a doctor at Guantanamo confirmed the allergy, guards adhered to Ayub's dietary requirements by simply withholding the foods to which he is allergic. On some days they would place an empty plate into his cell. When Ayub asked why they had brought him an empty plate, they told him that it was his special diet -- doctor's orders. Why couldn't they bring him something else, he asked? No idea, the guards replied, suggesting he take up the matter with their superiors. Ayub became very thin, at times weighing as little as 52 kilograms (115 lbs.). "When I sat down I was sitting on bones," he says. "I had no fat left and hardly any muscles." He began a hunger strike at least six times, "but it really didn't make any difference." Once a few soldiers took pity on Ayub and brought him an apple. Ayub took it into his cell. Guards found the apple a short time later, but the stem was missing. "Where's the stem?" they asked. "Where did you hide it?" He said he didn't know. He asked them if they thought he had wanted to make a skeleton key with the stem. Ayub spent the next 28 days in solitary confinement. In late 2004, a few months after the US Supreme Court ruled that prisoners at Guantanamo are entitled to have their cases heard in a US court, the prisoners had their first opportunity to appear before a military tribunal and respond to the charges that had been brought against them. At issue was their status as "enemy combatants" -- and their future. Ayub, emaciated and worn down from months in solitary confinement, was suspicious. He was taken to a small room and told to sit on a white plastic chair. The chairman of the tribunal entered the room and sat down on a slightly raised, black leather chair in front of Ayub, whose feet were chained to a bolt set into the floor. The tribunal accused him of traveling to Afghanistan to learn how to use weapons, and then fleeing to Pakistan with a group of armed Arabs. The minutes of the hearing show that, throughout the interrogation, Ayub believed that the Guantanamo tribunal was operating in the same way as a normal court. "You said that you went to Afghanistan, but not for weapons training," says the clerk. "In that case, what was the reason?" "I already said all that two and a half years ago," Ayub replies. "It's all in the records. I've already told you everything." Ayub, Abu Bakker, Adel, Ahmed and Akhdar were given the status "no longer enemy combatant," which meant they were no longer considered dangerous. It was good news, but no one told the prisoners, who by then had been in Guantanamo for two and a half years. They were also unaware that there was growing criticism in the United States of interrogation methods, the treatment of detainees and of Guantanamo in general. By then, human rights organizations had begun acting as intermediaries for lawyers eager to represent the prisoners. Boston attorney Sabin Willett signed up because, as he says, he refused to allow the Bush administration to undermine the basic tenets of the US constitution. In March 2005, Willet filed a petition on behalf of Abu Bakker Qassim and Adel Abdulhehim, hoping to force the government to finally allow his clients to stand trial. With his prominent jaw and forelock, Willett, a Harvard graduate and partner in a respected Boston law firm, bears a passing resemblance to the young John F. Kennedy. A crime novelist in his spare time, Willett has a refined sense of timing and dramatics. "There is probably no group of Muslims anywhere in the world more pro-American than the Uighurs," he told a court. "The Uighurs have always suffered under religious and political persecution by the Chinese communists. I can remember the days when, in this country, we had a great deal of sympathy for someone with that kind of history." Willett wanted to protect his country's constitution against his government. And he was the first person who truly wanted to help the five Uighurs since they had left China. Four months later, Willett was allowed to visit his clients in Guantanamo for the first time. When he discovered that they had long since been cleared of charges, he filed an emergency petition with the US Supreme Court. But no country was willing to accept the Uighurs. US officials say they spent two years searching for a suitable country to grant the men asylum, but that every one of the more than a hundred governments they contacted turned down their request. On January 19, 2006, Ahmed wrote a letter to Secretary of State Condoleezza Rice. "I find it difficult to imagine how a country like the United States, which claims that it promotes and protects the democratic rights of oppressed peoples, can treat someone the way I have been treated. I wonder whether the American government will keep me imprisoned here forever if it is unable to find a country that will accept me. Is this justice?" A hearing was scheduled in Washington for May 8. It was a potentially precarious trial for the US government. Faced with the prospect of the court ordering the Uighurs to appear in person, which, by bringing them onto US soil, would have given the men the right to apply for political asylum, the government was suddenly in a hurry to take action. An officer visited the five Uighurs in early May. "The US government has finally found a country that will accept you," he announced. "Which country?" they asked, hoping it would be Germany. Munich has Europe's largest Uighur community, and the prospect of being sent there appealed to the men. The officer said he had no information about that. Throughout the twelve-hour flight, the Uighurs were terrified that they were being returned to China. At approximately 9 p.m. local time, they landed at Mother Theresa Airport in Tirana, the capital of Albania, one of Europe's poorest countries. It was three days before the scheduled hearing in Washington. The men had never been to Albania. They had no idea the country even existed, and they are now probably the only Uighurs in the entire country. Sabin Willett, their attorney, received an email informing him of their release, but by then the Uighurs had already landed in Tirana. In the country's national refugee camp, the five men were housed in a building next to the toilets. The camp has a volleyball net, a laundry and a small library. An Arab-English dictionary lies on Ayub's night table. "I am an experienced diver," Ayub reads, and smiles. A bus is available to take them to downtown Tirana whenever they wish. But they have no money and no contacts here, so they walk aimlessly around the city -- five aliens in Albanian rush-hour traffic. They try to get a sense of what it feels like to be free, but it isn't easy. A few days after arriving in Albania, Ahmed calls his mother in China. He hasn't seen her in seven years. His aunt answers the telephone. "Salam alaikum," Ahmed says. She passes the phone to his mother. "Is that you, mother?" Ahmed asks. Ahmed asks about the family. They both know that Chinese intelligence is probably listening in on the conversation. Abu Bakker saw his wife again two days earlier -- on a DVD. His family had managed to get the disc sent to Guantanamo, where he wasn't permitted to watch it because camp officials were unable to find a translator who could confirm that the contents were harmless. In the end, the DVD was sent to Tirana with the five Uighurs. Abu Bakker stared at the screen. The recording shows his family and some friends sitting around a table, praying to God to protect Abu Bakker. He saw his father, who is since dead, and he saw his wife and his brother playing soccer in the snow with Abu Bakker's children. The children are twins, and his wife was pregnant with them when he left China. The two are now six years old. Abu Bakker has never seen them. Ahmed, Ayub, Abu Bakker and the other former Guantanamo prisoners are calm and patient and without hatred. They still hope to see their wives and children again. But their greatest wish, they say, is to live in the United States. In late August 2006, the Chinese authorities claimed that security forces in the Xinjiang Uyghur Autonomous Region (XUAR), also known as East Turkistan, have seized over 41 metric tons (45 tons) of explosives “from the hands of terrorists” since 1990. The claim was made by Wang Lexiang, deputy director of the regional department of public security, during a conference on improving regulations covering civilian-use explosives in East Turkistan. Explosives are readily available throughout most parts of the People’s Republic of China (PRC), and are used extensively in construction, mining and in road building and maintenance. Wang Lexiang further claimed that around four tons of materials used for manufacturing explosives were also seized over the same period, along with large quantities of detonators, hand grenades and other military paraphernalia, all supposedly to be used by ‘terrorists’ against Chinese government targets. However, Wang offered no evidence to support these claims, nor the claim during the same conference that security forces had foiled several plots by ‘separatists’ to sabotage oilfields, power plants and highways in East Turkistan. “We’ve seen these kinds of statements before, but we’ve never seen any evidence to support them,” said Alim Seytoff, director of the Uyghur Human Rights Project (UHRP). “If I knew a diplomatic way of saying ‘put up or shut up’, I’d say it,” he added. Mr. Seytoff pointed out that in the absence of any independent verification, it is plausible that all explosives seized in East Turkistan – whether from farmers or miners – could conveniently be claimed by Chinese officials as originally intended for ‘terrorist’ use. In light of the Chinese authorities’ extremely tight controls on information in East Turkistan, it is impossible to give an independent and accurate impression of the true scale and nature of political violence in the region. UHRP has compiled this short backgrounder not to analyze and discuss political violence in East Turkistan – about which very little is known – but rather to analyze and discuss the Chinese authorities’ claims on the nature and extent of political violence in the region. It is hoped that this briefing will encourage a necessary and greater degree of skepticism towards the Chinese authorities’ statements on the situation in East Turkistan. This briefing is also intended to guide readers towards independently researched information and analysis which would be useful to the general reader wishing to try and assess for themselves the reality of the security situation in East Turkistan. Footnotes are provided throughout, and additional suggested reading is provided at the end of this backgrounder. Even the most casual examination of Chinese government figures for armed and politically motivated violence against government and civilian targets in East Turkistan reveals glaring inconsistencies. For example, in March 1999, the then-governor of the region, Abdulahat Abdurishit, claimed there had been “thousands” of explosions and assassinations throughout the 1990s. But by early September 2001, barely 18 months later, Abdulahat Abdurishit claimed that the situation in East Turkistan was actually “better then ever in history”. In the immediate wake of 9/11 the Chinese government again reversed its position, once more claiming an imminent threat of terrorism in East Turkistan while expressing an intention to stand “side by side with the United States in the war on terror”. At the time, skepticism towards China’s stance was so high that U.S. president George W. Bush saw it necessary to caution the Chinese government against using the war on terror as “an excuse to persecute minorities”. Nevertheless, the central Chinese government released a document in January 2002 called “‘East Turkistan’ terrorist forces cannot get away with impunity”, which claimed on the basis of “incomplete statistics” there had been “at least 200 incidents of terrorist violence, causing 162 deaths and more than 440 injuries” between 1990 and 2001. However, the document’s vague language and incomplete tabulation of alleged incidents and casualties – as well as mention of alleged terrorist groups in East Turkistan never heard of before or since – inevitably undermined the document’s credibility. The document was further undermined in 2004 when Ismael Tiliwaldi, the successor to Abdulahat Abdurishit, said, “In Xinjiang, not one incident of explosion or assassination took place in the last few years. […] Last year Xinjiang’s public security situation was very good.” But in September 2005, Zhao Yongchen, deputy director of the counter-terrorism bureau under the ministry of public security, said that, “under the influence of many complex international and domestic factors, violent acts of terrorism in Xinjiang have been escalating seriously.” He provided no details. And then on August 30, 2006, Wang Lexiang stated at the conference where he presented the figures on the amount of explosives seized since 1990, that there had been a “successful” terrorist attack on a People’s Armed Police barracks and a railway line in 2004 – without giving any further evidence or details – and added that there remained a “grave social situation” in East Turkistan. Again, this is despite a claim made in the People’s Daily just four days earlier that record levels of investment are pouring into the region. Another central feature of the Chinese authorities’ claims on the levels and nature of terrorism in East Turkistan, particularly since 9/11, is that individuals and organizations in the region are closely affiliated with groups such as al-Qaeda and the Taliban – even receiving training and funding from them. On the basis of these claims, the Chinese authorities have attempted to portray East Turkistan as a ‘battleground’ in the ‘international war on terrorism’ – claims also made in the document “‘East Turkistan’ terrorists cannot get away with impunity”. However, aside from the fact that – as usual – no corroborating evidence has ever been released to support this claim of a broader international jihad being fought in East Turkistan, it is notable also that the Uyghur people, East Turkistan and even Xinjiang have never been mentioned in the public pronouncements attributed to Osama bin-Laden and other al-Qaeda figures. Although this detail is far from being conclusive evidence of no involvement by al-Qaeda in East Turkistan, the burden of proof of any involvement should be on the Chinese authorities. For its part, the Uyghur diaspora points out that the Uyghur people – unlike supporters of jihad – look to the United States as a model of human rights and democracy in contrast to the current regime in East Turkistan, and regard the United States as a natural ally of the Uyghur people. In addition, Uyghurs and other ethnic groups in the region refer to the fact that the first East Turkistan Republic in 1931-1934 was the first democratic Islamic republic in the world outside Turkey. The Chinese authorities also accuse Uyghur political opponents abroad of engaging in terrorism, again without releasing any corroborating details or evidence. In August 2005, while the Chinese authorities in East Turkistan were preparing to celebrate the 50th anniversary of the establishment of the XUAR, Wang Lequan, the most senior Chinese official in the region, publicly accused Ms. Rebiya Kadeer of plotting a terrorist attack on official celebrations in the regional capital of Urumchi. Since her release from a Chinese prison in March 2005, Ms Rebiya Kadeer, a human rights activist and former prisoner of conscience, has worked to highlight the extremely poor human rights situation of the Uyghur people in East Turkistan. When she was released from prison, Ms. Kadeer was warned by Chinese officials not to speak out about the plight of the Uyghur people when she reached exile. “It appears that Ms. Kadeer’s work has been such a cause of annoyance and embarrassment to the Chinese authorities that accusing her of plotting terrorist attacks is regarded in Beijing as an appropriate counter-strategy,” said Mr. Seytoff. An obvious problem when attempting to discuss terrorism in East Turkistan is the definition of ‘terrorism’ itself. Indeed, even in international law a conclusive definition has yet to be agreed upon. Another comprehensive study claims that there have been no acts of political violence in East Turkistan attributable to Uyghurs since 1998. There may indeed have been other acts of violence perpetrated by Uyghurs against the Chinese government prior to and since 1998, but observers must be more careful than the Chinese authorities in deciding which of these acts constitutes ‘terrorism’ while similar acts are perpetrated throughout all of China. “Violent Separatism in Xinjiang: A Critical Assessment”, James Milward, East-West Center Washington, 2004, p. 11, available at www.eastwestcenterwashington.org. “China is with us, Bush insists”, Associated Press, October 19, 2001. “‘East Turkistan’ Terrorist Forces Cannot Get Away with Impunity”, January 21, 2002, Information Office of the State Council, available at www.people.com.cn. “Governor says China’s Xinjiang has seen no terrorist attacks for years,” Xinhua, 12 April 2004. “Over 260 Acts of Terrorist Violence In and Outside China as 'East Turkistan' Becomes Main Terrorist Threat to China”, China Youth Daily, September 6, 2005, FBIS translated text. [Xinjiang da qingcha, shouji zhayao 41 dun duo] “Xinjiang great exposé, more than 41 tonnes of explosives captured”, August 30, 2006, Takung Pao, available (in Chinese) at www.takungpao.com. “Xinjiang enters a golden age as investment capital pours in”, August 26, 2006, People’s Daily, available at http://english.people.com.cn/. “Policy Focus: China”, United States Commission on International Religious Freedom, September 2005, available at www.uscirf.gov. “China’s ‘Uyghur Problem’ and the Shanghai Cooperation Organization”, August 3, 2006, available at www.uscc.gov. “Criminalising Ethnicity: Political repression in Xinjiang”, Nicolas Becquelin, China Rights Forum, Issue 1, 2004, available at www.hrichina.org. Autonomy in Xinjiang: Han Nationalist Imperatives and Uyghur Discontent, BOVINGDON, Gardner, East-West Center Policy Studies 11, 2004. Blow Up: Internal and External Challenges of Uyghur Separatism and Islamic Radicalism to Chinese Rule in Xinjiang, SHICHOR, Yitzhak, Asian Affairs: An American Review, June 22, 2005. China and Xinjiang after September 11, SWANSTROM, Niklas, Asia Insights, No. 3 (2002). China’s Anti-terrorism Legislation and Repression in the Xinjiang Uighur Autonomous Region, Amnesty International, AI Index: ASA 17/010/2002, March 2002. The Not-So-Silent Majority: Uyghur Resistance to Han Rule in Xinjiang, BOVINGDON, Gardner, Modern China, Vol. 28, No. 1, January 2002, pp. 39-78. The Xinjiang Conflict: Uyghur Identity, Language Policy, and Political Discourse, DWYER, Arienne M., East-West Center Policy Studies 15, 2005. The Xinjiang Problem, STARR, S. Frederick and FULLER, Graham E., Paul H. Nitze School of Advanced International Studies, The Johns Hopkins University, January 2004. Violent Separatism in Xinjiang: A Critical Assessment, MILLWARD, James, East-West Center Policy Studies 6, 2004. Xinjiang at the turn of the century: the causes of separatism, MACKERRAS, Colin, Central Asian Survey (2001), 20(3), pp. 289-303. TIRANA, Albania I have been greatly saddened to hear that the Congress of the United States, a country I deeply admire, is considering new laws that would deny prisoners at Guantánamo Bay the right to challenge their detentions in federal court. I learned my respect for American institutions the hard way. When I was growing up as a Uighur in China, there were no independent courts to review the imprisonment and oppression of people who, like me, peacefully opposed the Communists. But I learned my hardest lesson from the United States: I spent four long years behind the razor wire of its prison in Cuba. I was locked up and mistreated for being in the wrong place at the wrong time during America's war in Afghanistan. Like hundreds of Guantánamo detainees, I was never a terrorist or a soldier. I was never even on a battlefield. Pakistani bounty hunters sold me and 17 other Uighurs to the U.S. military like animals for $5,000 a head. The Americans made a terrible mistake. It was only America's centuries- old commitment to allowing habeas corpus challenges that put that mistake right - or began to. In May, on the eve of a court hearing in my case, the military relented, and I was sent to Albania along with four other Uighurs. But 12 of my Uighur brothers remain in Guantánamo today. Will they be stranded there forever? Without my American lawyers and habeas corpus, my situation and that of the other Uighurs would still be a secret. I would be sitting in a metal cage today. Habeas corpus helped me to tell the world that Uighurs are not a threat to the United States or the West, but an ally. Habeas corpus cleared my name - and most important, it let my family know that I was still alive. Like my fellow Uighurs, I am a great admirer of the American legal and political systems. I have the utmost respect for the U.S. Congress. So I respectfully ask American lawmakers to protect habeas corpus and let justice prevail. Continuing to permit habeas rights to the detainees in Guantánamo will not set the guilty free. It will prove to the world that American democracy is safe and well. I am from East Turkestan on the northwest edge of China. Communist China cynically calls my homeland "Xinjiang," which means "new dominion" or "new frontier." My people want only to be treated with respect and dignity. But China uses the American war on terrorism as a pretext to punish those who peacefully dissent from its oppressive policies. They brand as "terrorism" all political opposition from the Uighurs. Amnesty International reports that East Turkistan is the only province in China where people may face the death penalty for political offenses. Chinese leaders brag about the number of Uighur political prisoners shot in the head. I was punished for speaking against China's unjust policies, and I left because of the threat to my life. My search for work and refuge took me from Kyrgyzstan to Afghanistan and Pakistan. I heard about the Sept. 11 attacks for the first time in Guantánamo. I was not aware of their magnitude until after my release, when a reporter showed me images online at an Internet café in Tirana. It was a terrible thing. But I, too, was its victim. I would never have experienced the ordeal and humiliation of Guantánamo if this horrific event had not taken place. I feel great sadness for the families who lost their loved ones on that horrible day five years ago. And I would be sadder still to see the freedom-loving American people walk away from their respect for the rule of law. I want America to be a strong and respected nation in the world. Only then can it continue to be the source of hope for the hopeless - like my people. Abu Bakker Qassim was imprisoned at Guantánamo Bay, Cuba, from 2002 until May 2006. This article was translated from the Uighur by Nury Turkel.